An Oscars merchandise “pop-up shop” is coming to Hollywood for a second year. Starting Jan. 31, The Academy will open its Oscars merchandise “pop-up shop” for a second year. 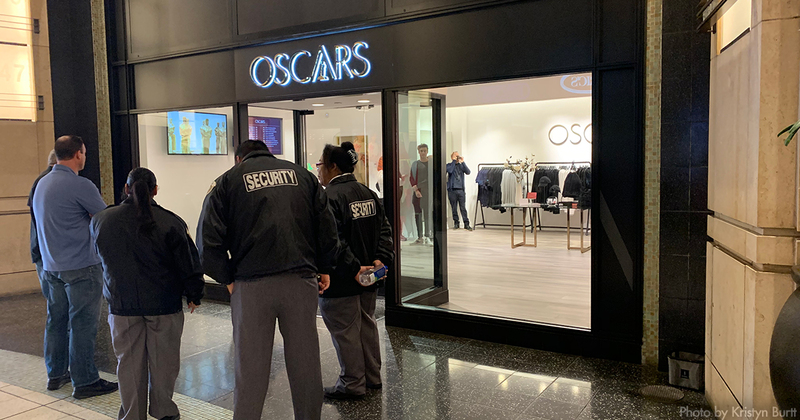 The store selling exclusive Oscars apparel and goods is “opening soon” at Hollywood & Highland, home of the ceremony's Dolby Theatre. UPDATE (1/31): The store is opening Thursday, Jan. 31! The Academy of Motion Picture Arts and Sciences has a special treat in store for movie lovers in Los Angeles– the Academy’s official pop-up shop at Hollywood & Highland! One-of-a kind Oscars merchandise and other surprises will be available while supplies last. Perfect for Oscars viewing party prizes! The Oscars Pop-Up Shop is located on level one in Awards Walk near Dolby Theatre. Opening soon for a limited time. The store will be open for until Feb. 22. Last year, The Academy opened its first pop-up store alongside the Red Carpet. It was open for only three days, Wednesday through Friday of Oscar Week. The store was be located in a former Louis Vuitton outlet. For years, limited merchandise was available to media members or ceremony workers with credentials. The Academy also sells posters and programs on an affiliated website.